Android 4.2.2 OS (Jelly Bean). 13 MP primary camera & 2 MP secondary camera with LED flash. 1.6 GHz Quad + 1.2 GHz Quad Octa processor. 5 inch super Amoled Full HD screen (1920 X 1080 p). 16 GB internal and 64 GB expandable memory. To get fastest internet access from Samsung Galaxy S 4 it has 3G with as high as 42 Mbps HSPA speed & Wi-fi and some other regular internet accesses such as GPRS, EDGE. It supports full HD video. Samsung used A-GPS and GLONASS navigation technology with Google maps. Samsung galaxy is one of the best smartphone by the Samsung. 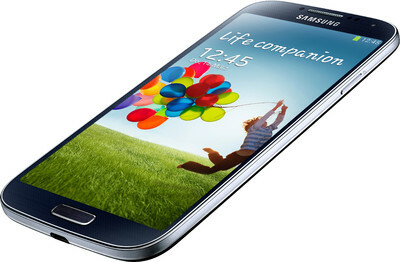 Samsung Galaxy S 4 Price is 41500 /- Rs. only.